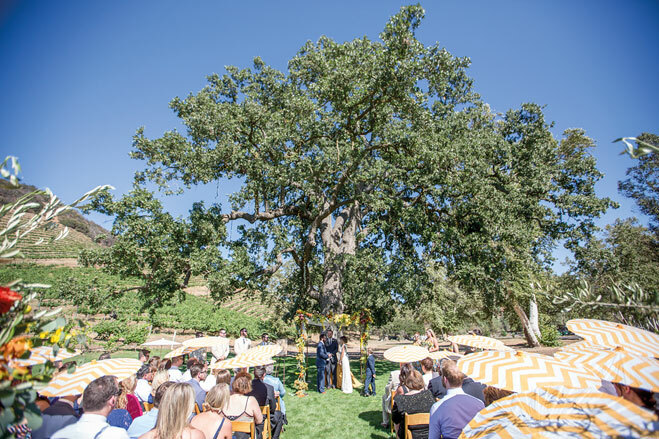 Three and a half years before their engagement, Beth and Andrew first crossed paths while on the clock: Beth was an event producer at an event and catering company, and Andrew was her “favorite” bartender. 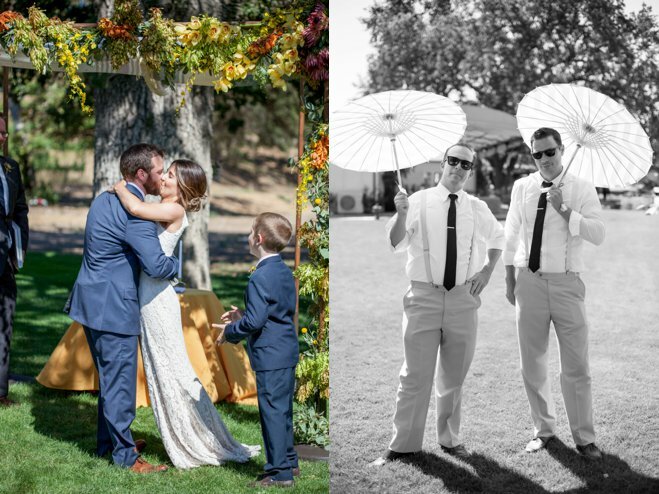 The relationship began as purely business, but it wasn’t long before the couple realized their mutual romantic feelings for one another, and they never looked back. 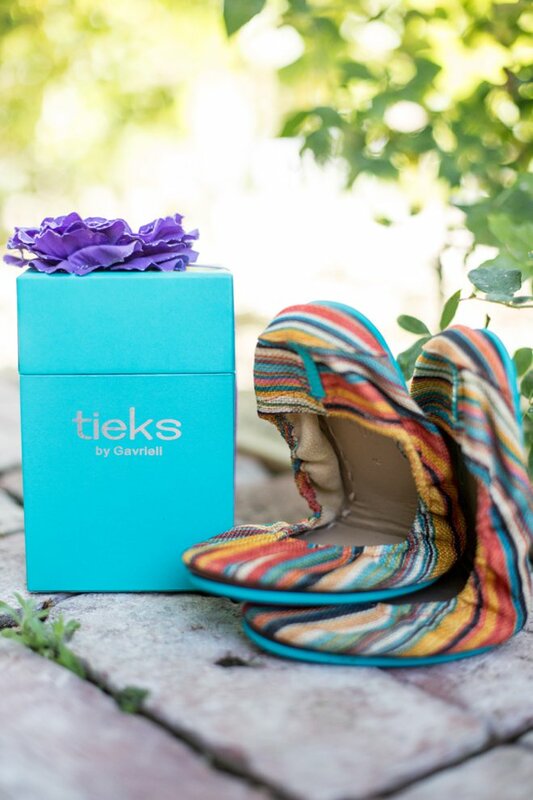 It has been said that “behind every successful woman is a fabulous pair of shoes,” and, in Beth’s case, those shoes were a colorful pair of Tieks that inspired her vibrant wedding day. 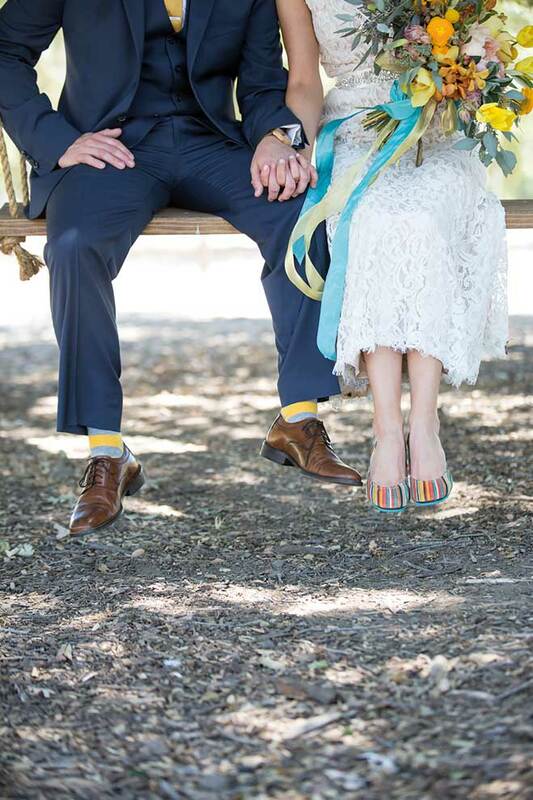 She introduced the shoes to Alexandra Rembac of Sterling Events during their first meeting, and the two immediately bonded over a vision of combining bright colors with a modern aesthetic and the couple’s quirky personalities. 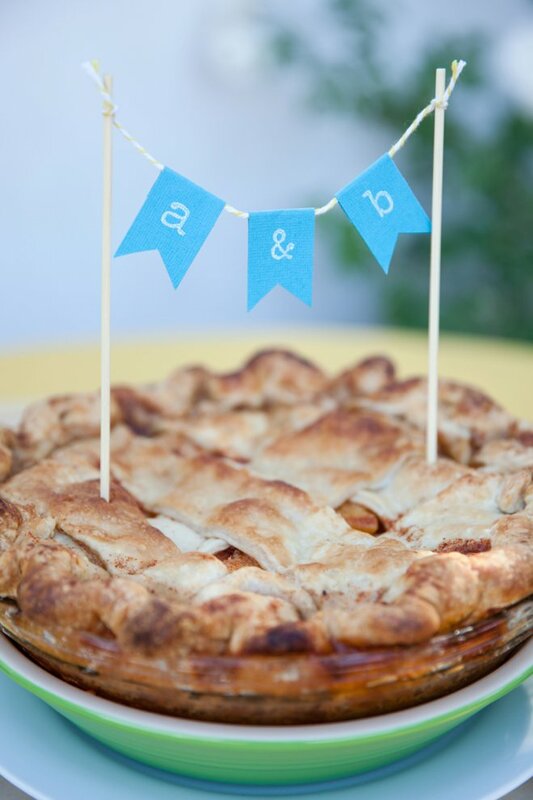 Throughout their dating years, Beth discovered that baking pies relieved stress, and Andy developed a love for brewing beer at home, which led the couple to form a monthly “Pie & Beer Club” amongst their friends. 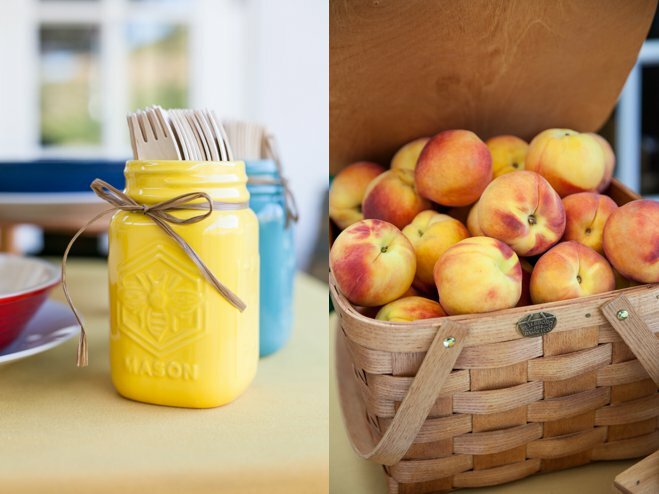 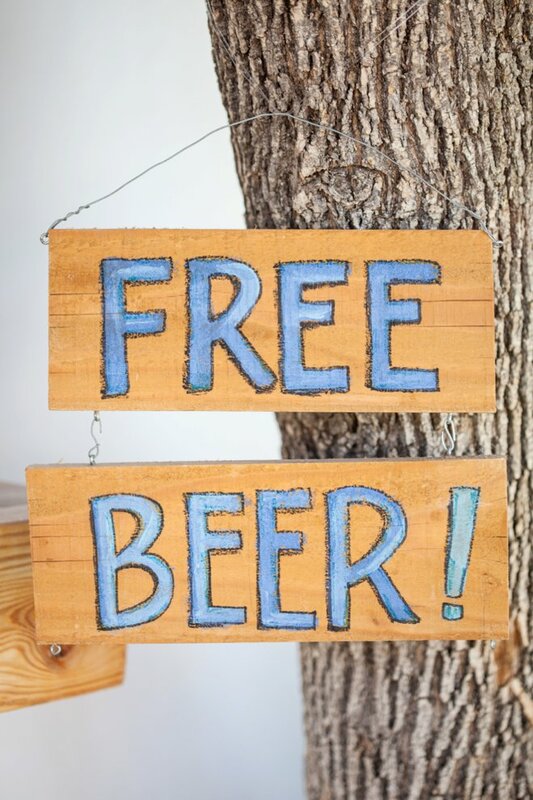 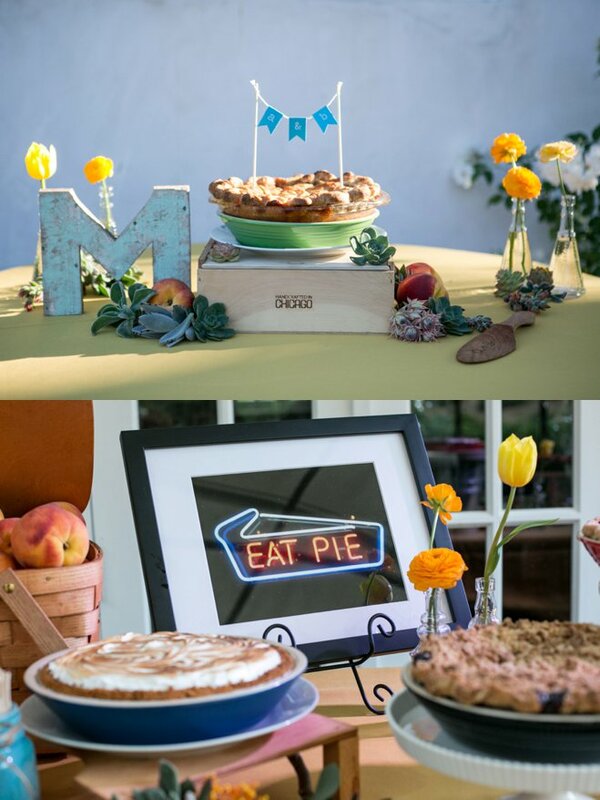 To incorporate these delicious hobbies into their big day, Beth baked a perfect peach pie, which the couple cut into instead of cake; and Andy home-brewed a wedding-style ale that guests enjoyed throughout the evening. 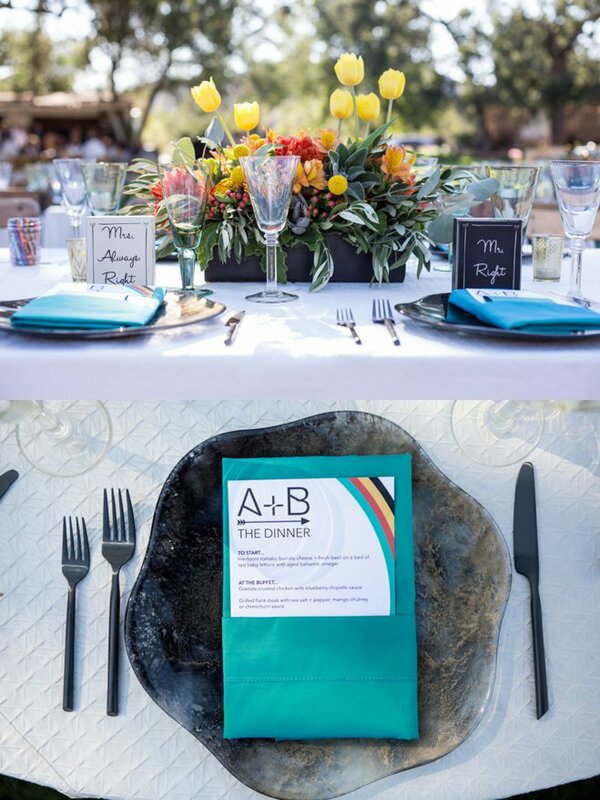 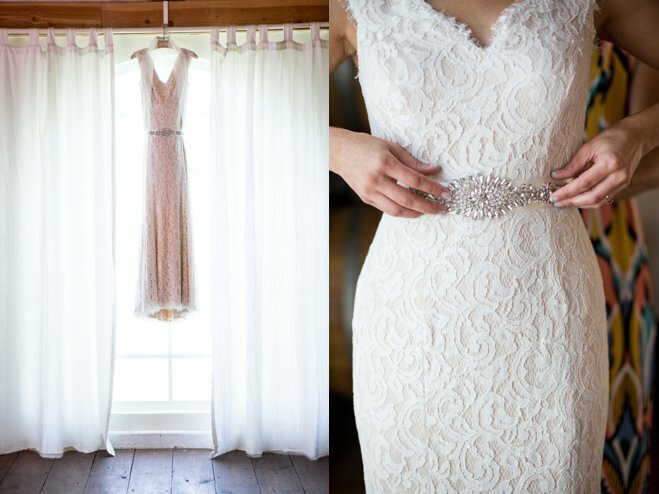 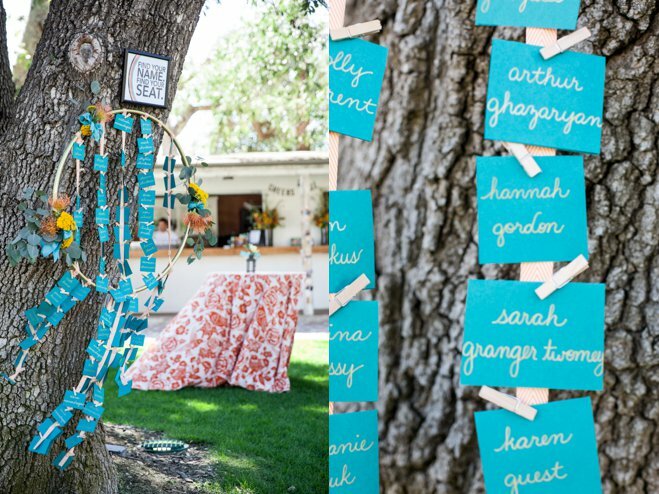 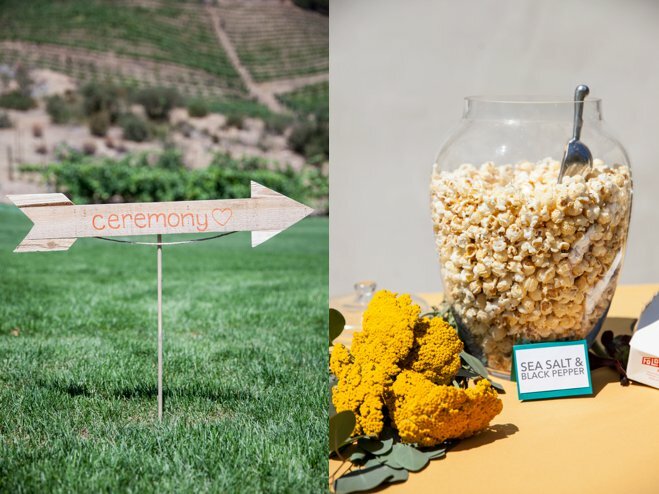 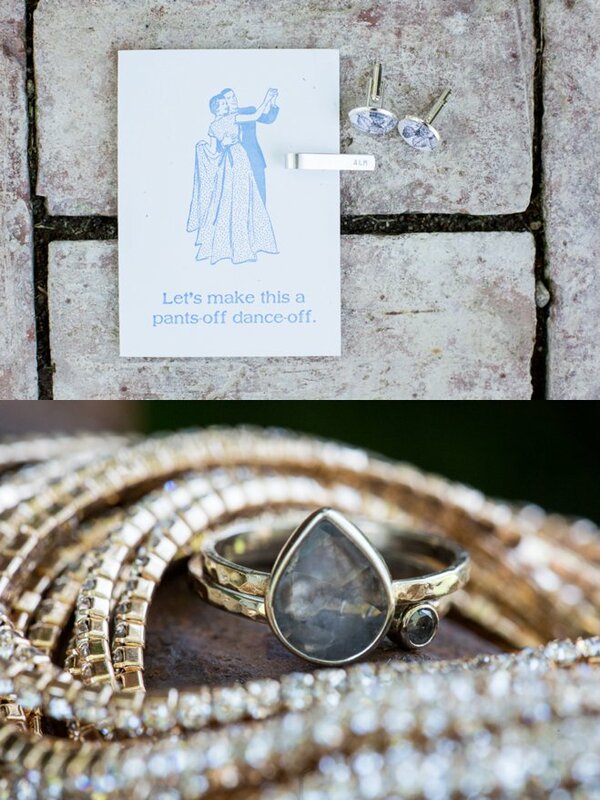 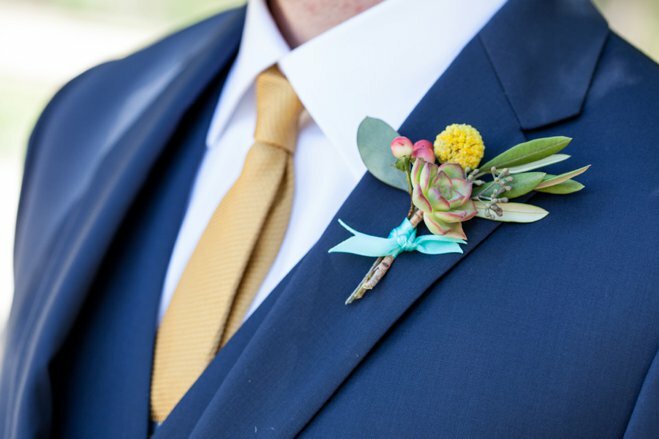 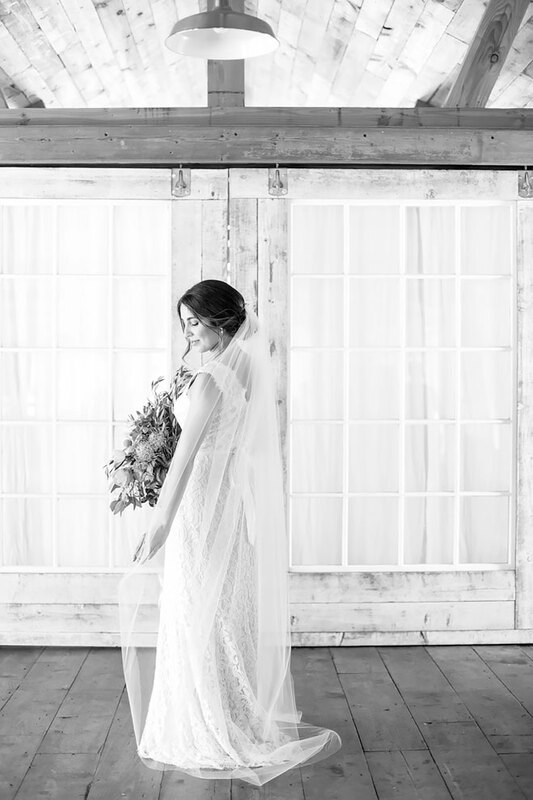 With the couple’s combined experience in event planning, it was easy for them to design many wedding details themselves. 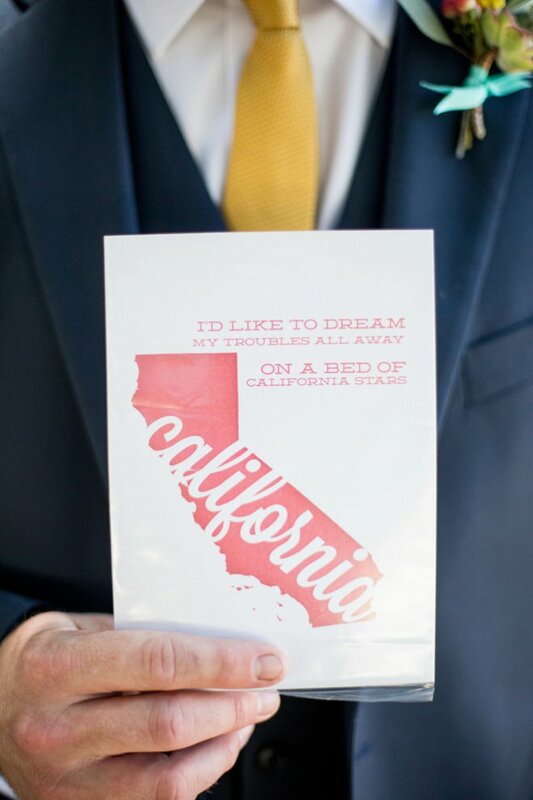 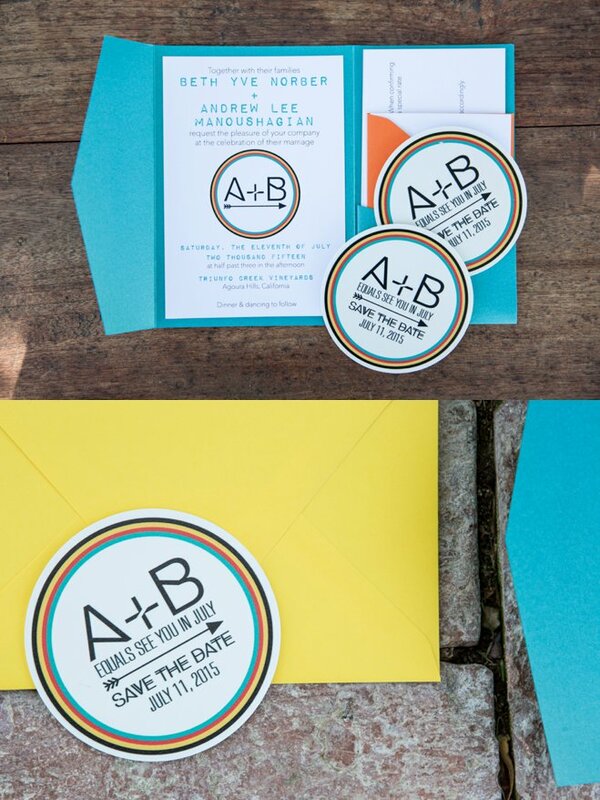 Andy’s expertise in graphic design was put to good use creating the wedding invitation suite, complete with save-the-date coasters. 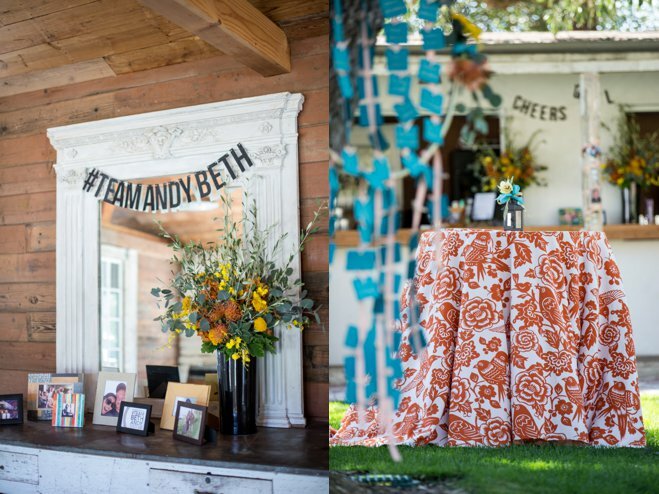 From there, Beth took over. 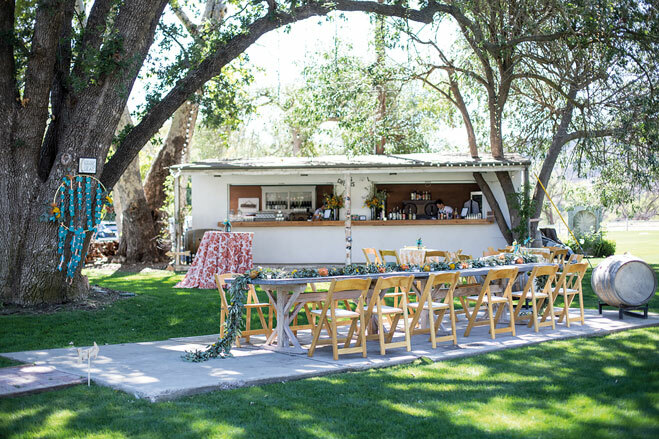 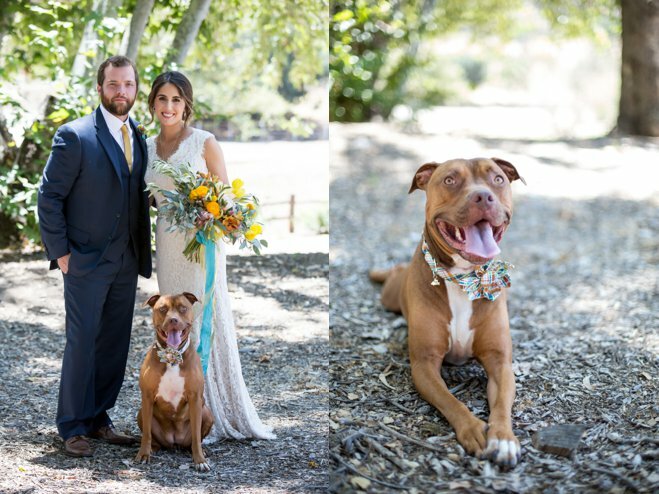 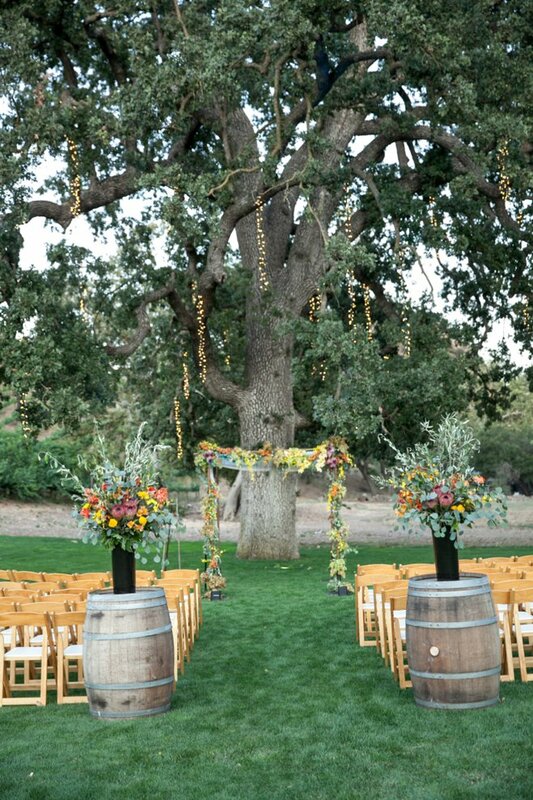 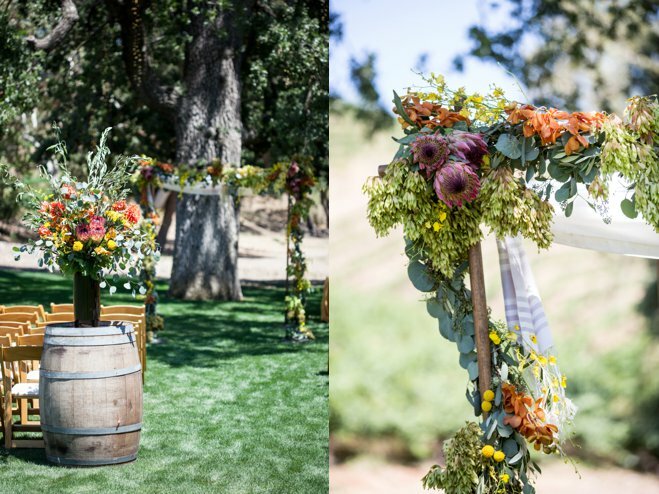 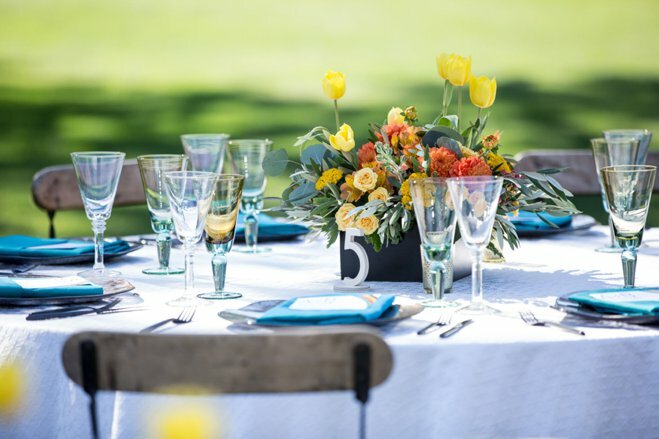 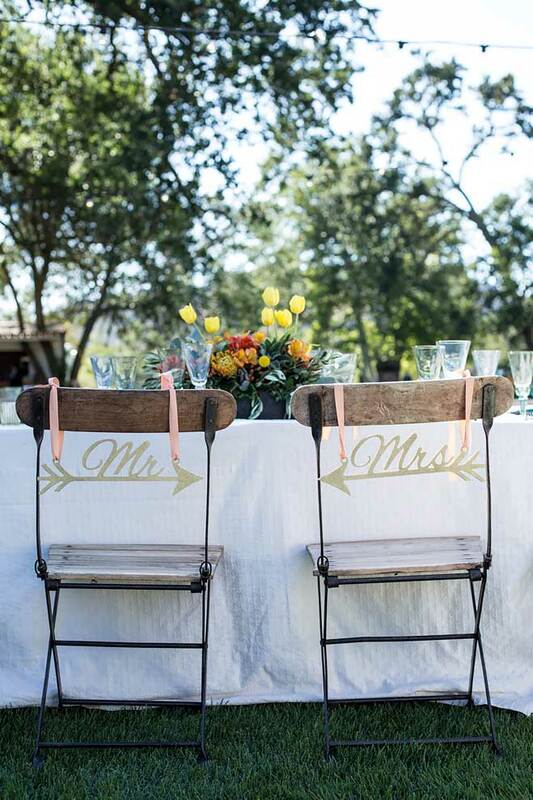 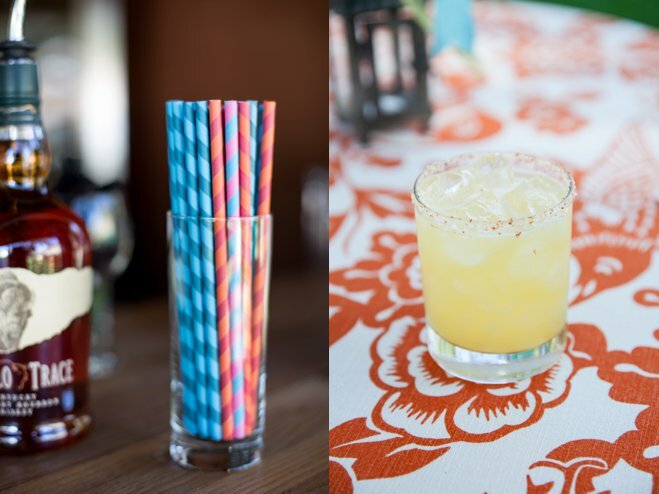 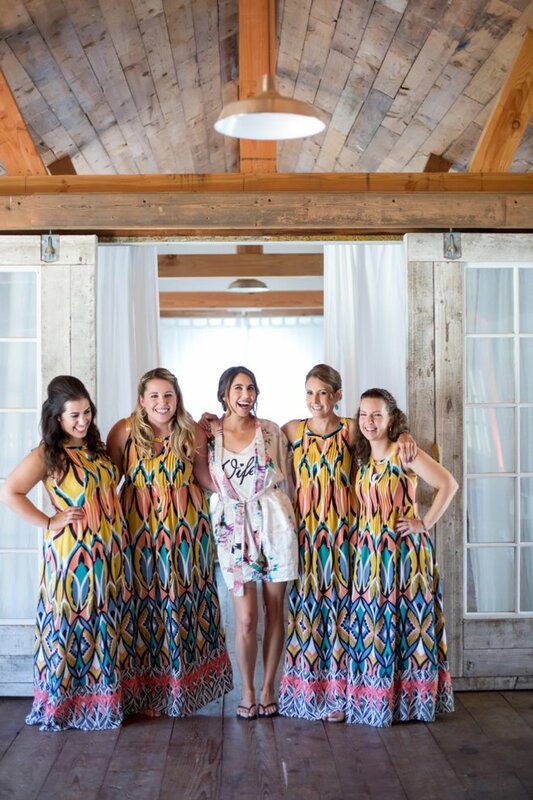 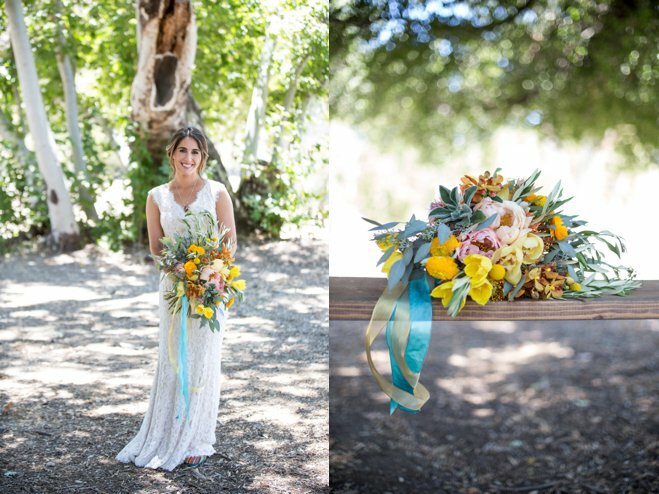 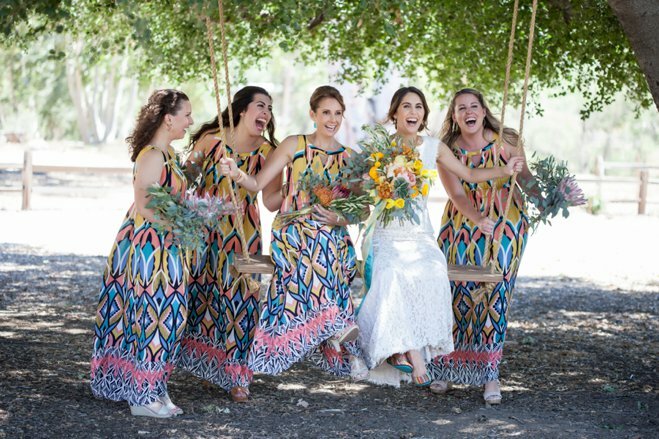 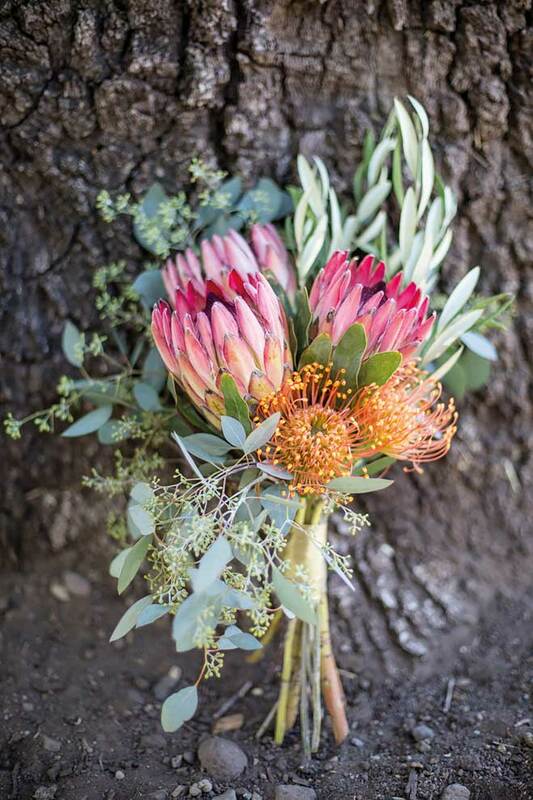 With the celebration set to take place amongst the natural surroundings at Triunfo Creek Vineyards, she combined bright floral centerpieces with simple, crisp, off-white linens and colorful accents to accent her shoes and the matching bridesmaid dresses. 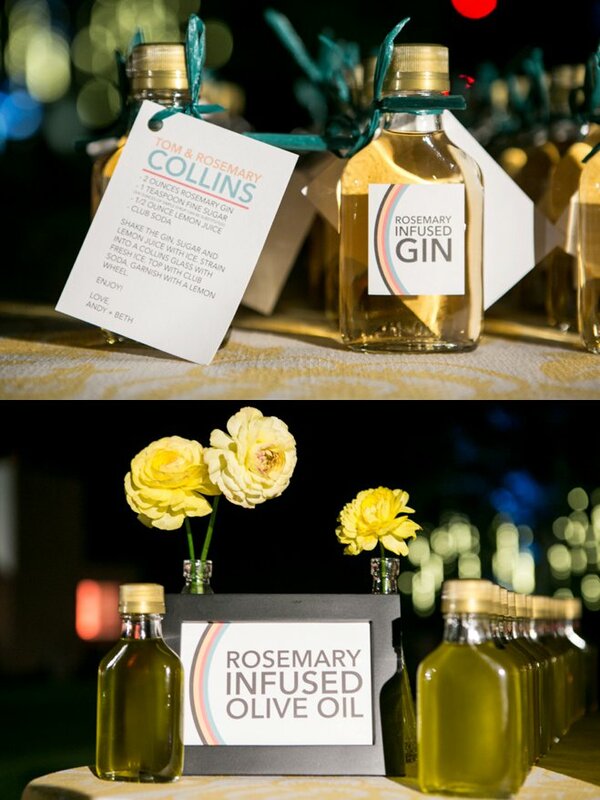 Guests were served aged white whiskey à la Andy and cocktails featuring homemade rosemary-infused gin. 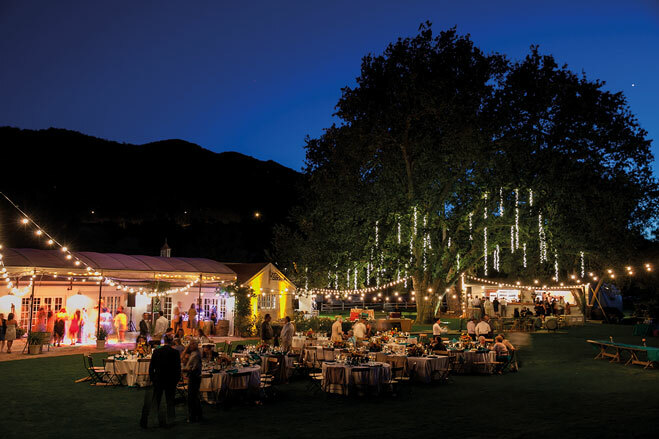 The evening was spent playing lawn games and dancing to the couple’s curated music selection. 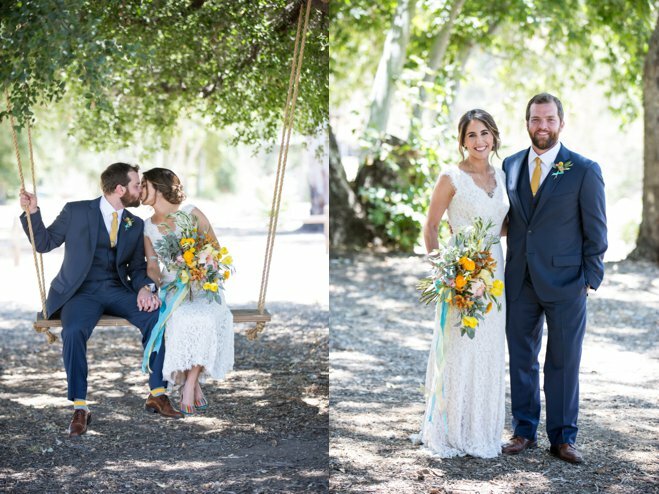 From start to finish, the wedding was a beautiful expression of Beth and Andrew love and, by far, the most important event they’ll ever plan.